Australia has had Lutheran schools ever since the first Lutheran settlers arrived in 1839. Even before the government became formally involved in education, Lutheran communities established their own schools because they were concerned about the future of their children. They wanted to provide for their growth spiritually, intellectually, socially and physically. The Lutheran school system has now grown to one of the largest networks of Protestant Schools in Australia.We are currently educating 30,000 students in over 100 schools across Australia. For more facts about Lutheran schools in Australia click here. 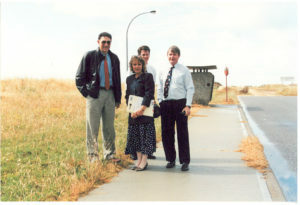 Toward the end of 1994 a group of people interested in Christian education, and in particular Lutheran schooling, gathered at St. John’s Lutheran Church in Perth to learn more about the steps to be taken in order to establish a Lutheran school in Western Australia. They enlisted the assistance of a leader in Lutheran Schools in South Australia, Mr. Colin Schulz. The chairperson and driving force behind the WA group was Dr. Len Vlahov (father to Andrew, a previous owner and player for the Perth Wildcats), a committed Christian. At the 1994 Convention of the Western Australia District of the Lutheran Church of Australia, a School Task Force was appointed to carry out a feasibility study and present findings to the District Church Council. As a result of their studies it was recommended that the first Lutheran school in Western Australia be established in the fast growing area of Rockingham, to commence in 1997. Initially it was to be a single stream primary school, with the aim of expanding to double stream and catering for some 450 students in the future. Since its beginning the College has grown at a rate that far exceeded expectations. From 63 students who began at Living Waters in January 1997, the student numbers grew strongly every year, reaching 120 in 1998, 340 in 1999, etc. Such growth encouraged the School Board to pursue the request of our parents to provide education from kindergarten through to year 12. By the end of 1998 we were granted approval and began work to make this a reality. A Middle School (for years 6 through 9) was first established in 1999 to assist our children in making the transition from primary to secondary education. In 2001 our Senior School (for years 10 through 12) began. We are proud to be an integral part of the Rockingham and Mandurah communities. Our name “Living Waters” points us to Jesus Christ who gives us eternal life and satisfies our deepest needs. Our motto comes from Revelations 7:17 and reminds us that Jesus Christ leads and inspires us in all we do. The cross reminds us that Jesus Christ loved the world so much He gave His life for us all. The water refers to Baptism through which God welcomes us into His family. It also reminds us of our geographical location close to the ocean. The circle symbolises unity and eternity. We live and act as a unified body, which celebrates eternal life and pursues eternal values.